Xydep (sertraline hydrochloride) is indicated for the treatment of major depression, obsessive complusive disorder (OCD) and panic disorder. INDICATIONS AS AT 22 JULY 2003: Children and Adolescents: XYDEP (sertraline hydrochloride) is indicated for the treatment of children and adolesecents with OCD. Adults: XYDEP (sertraline hydrochloride) is indicated for the treatment of major depression, obsessive compulsive disorder (OCD) and panic disorder. XYDEP (sertraline hydrochloride) is indicated for the treatment of social phobia (social anxiety disorder) and the prevention of its relapse. INDICATIONS AS AT 18 NOVEMBER 2003: Children and Adolescents: XYDEP (sertraline hydrochloride) is indicated for the treatment of children aged 6 years and older and adolescents with OCD. Adults: XYDEP (sertraline hydrochloride) is indicated for the treatment of major depression, obsessive compulsive disorder (OCD) and panic disorder. XYDEP (sertraline hydrochloride) is indicated for the treatment of social phobia (social anxiety disorder) and the prevention of its relapse. XYDEP (sertraline hydrochloride) is indicated for the treatment of premenstrual dysphoric disorder (PMDD) as defined by DSM-IV criteria. 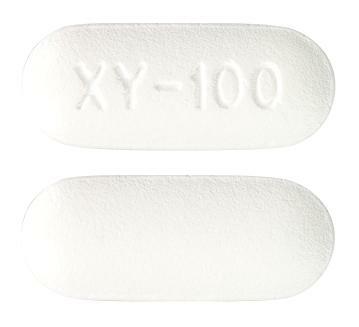 White film coated capsule-shaped tablets marked "XY 100" on one side and plain on the other side. White film coated capsule-shaped tablets debossed with "XY 50" and containing a score line on one side and plain on the other side.